We know, we know. You spend ages waiting for a new DT Swiss wheelset and then two come along at once… well, both look pretty hot, so we’ll spend a bit of time getting to know them. They sit in DT Swiss’s Crossroad range – apparently, Crossroad stands for those “there may be a road” rides. Inspired by the tough world of cyclocross, DT Swiss Crossroad wheels perform on any surface, whether you choose to explore new roads or that muddy farm track that ends up to be a single trail. So where was that road again? First up, we have the CRC1100 Spline T. This is a carbon-rimmed, tubular wheelset with some clever features. Those tubular rims are laced to DT Swiss’s own straight pull 240s hubs, with SINC Ceramic bearings, but before we look at the wheel as a whole, lets start from the outside and work in. The target of DT Swiss’s engineers was to develop a rim that “perfectly harmonizes” with CX tubular tyres. According to DT, the rim width of 26 mm secures an ideal support of the tyre. The rim-bed profile is also specifically designed for CX tubulars as well – essentially it is less deep than a typical road tub rim, as well as being wider. This provides a greater contact patch, creating better tyre stability and improved flexibility and therefore grip. DT Swiss have also spent a long time selecting the ideal rim depth for a ‘cross wheel. They believe that 38mm “presents the perfect balance between lightweight and usability in all conditions”. Low weight is important for any racing wheelset, especially in a sport that relies on repeated fast accelerations. But, when riding through deep mud or sand, a rim depth above 30mm improves handling significantly. Those clever Swiss engineers came to the conclusion that 38mm was the right compromise between the two. Both wheelsets use 24 DT aerolite spokes on the front wheel and 24 DT aero comp spokes on the rear wheel. Butted and then bladed middle sections make the spokes both aerodynamic and strong at a minimal weight. Finally, more on that hub. The 240s is the lightest alloy hub DT Swiss has ever made. They feature a 36t ratchet system for quick pick-up under acceleration, and ceramic bearings for the ultimate in friction-free rolling. Marginal gains maybe, but these are top-end wheels. Lastly, the CRC1100 features an superlight version of the freehub body. Every little helps on the race course. 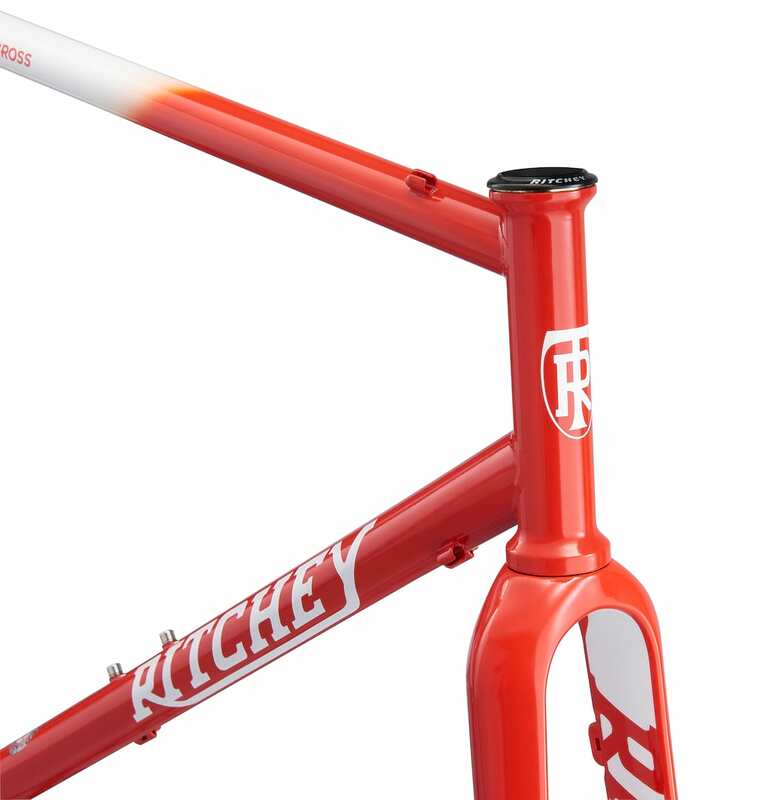 The overall weight of the wheelset is a mind-blowingly low 1322g. Few would argue the benefits of tubulars on the ‘cross race course, but they aren’t practical for day-to-day riding and longer adventures. The CRC1400 still features a full carbon rim, 240s rims and the same lightweight spokes. It is based around tubeless-ready, rather than tubular though. 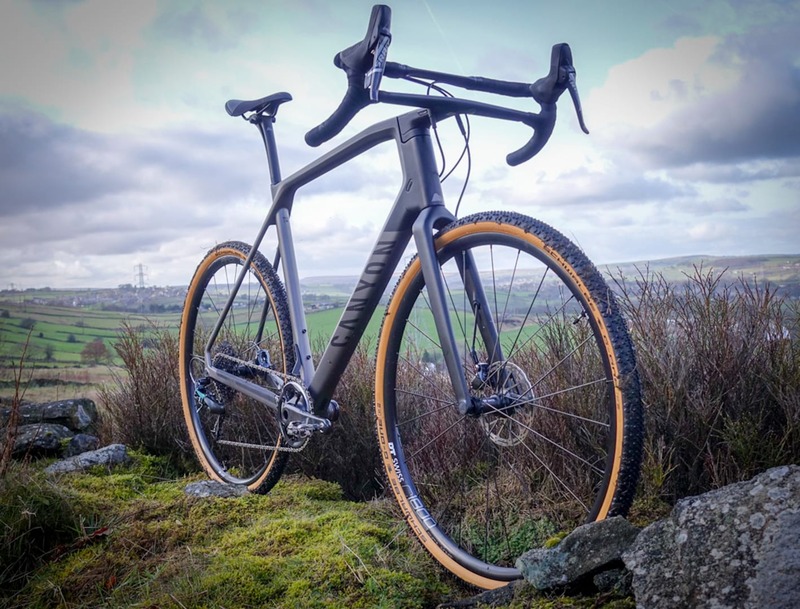 DT see it as being a wheelset for someone who may do some ‘cross racing, but wants the same wheelset to be optimised for gravel riding and general exploring as well. The 22mm internal width rims are designed to support anything from 32mm ‘cross tubeless tyres up to wider gravel options. They aren’t as deep as the CRC1100s, at just 24mm depth. And come in at an equally ludicrously low 1389g weight for the pair. Wow. We adore the look of the 240s hubs. Check out what the wheels were hanging off. A limited edition paint job Open.